A leader in luxury cruising and expedition voyages, Silversea Cruises offers its guests indulgence for the mind, body and soul in the most lavish surroundings imaginable whilst travelling to popular, hard to reach and remote regions of the planet. Guests receive a highly personalised service within purpose built ships that are sumptuous, spacious and incredibly comfortable; high-end gourmet cuisine offers gastronomic excellence with inclusive world-class wines, spirits, beer and other beverages - all complemented by highly-trained and professional crew members. Then there’s the destination! Travel is the elixir of life at Silversea and every cruise is a voyage of discovery. Silversea’s five intimate ultra-luxury ships can sail up narrow waterways into the heart of a city, or tie up right at the pier while others must anchor off shore. And for those who yearn to explore the new and unknown, Silversea’s four purpose-built expedition ships can transport you to the furthermost boundaries of the world. 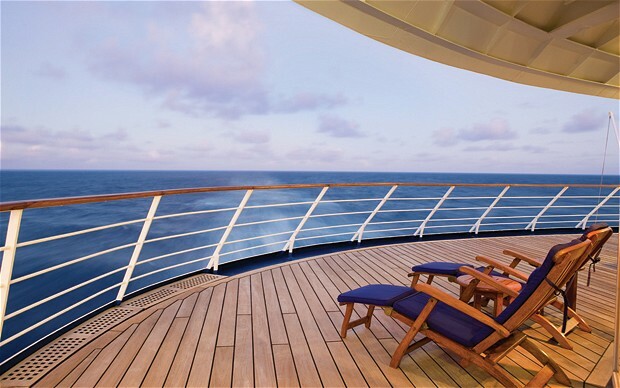 Equally gratifying is the experience on board Silversea’s prestigious ships. The spacious ocean-view suites with butler service. The almost epic epicureanism of the cuisine. The warm hospitality and European cachet that attract guests from around the globe. Silversea has been voted "World's Best" by the readers of Condé Nast Traveler (US and UK, 9 times), Travel & Leisure (7 times), and “Best Luxury Cruise Line” by Travel Weekly Glove (11 times) and Luxury Travel & Style Magazine (7 times). Silversea is included in the “Top 10 Small Ships” list of Berlitz 2018, alongside award winning itineraries worldwide. While on a Silversea luxury cruise, guests have the option to completely immerse themselves in a personal journey of wellness with access to the spa and fitness centre. There are varied seminars on health and wellbeing as well as access to specialist services such as anti-ageing and acupuncture. Silversea’s vast range of entertainment will invigorate mind, body and soul. Guests have access to some of the world’s most renowned artists, experts and guest speakers who will travel on select voyages in order to offer culturally immersive experiences from a unique perspective. Highly trained guides and naturalists provide lectures and accompany excursions offshore, sharing their insights on flora, fauna and local culture. These carefully curated parties and performances have been designed to engage, enlighten and enrich each passengers journey, so that whatever your passion, you can indulge it on board. Every ship features a diversity of high-end dining venues where passengers can savour international cuisine and world-class wines. Dine amid sparkling crystal, silver and sweeping ocean views in the main dining area, The Restaurant, is an open-seating venue where passengers can dine whenever they please, and where impromptu dinners with new-found friends is a matter of course. Reflecting Silversea’s Italian heritage, Italy’s best cuisine can be found at La Terazza, an indoor/outdoor seating environment offering breakfast and lunch buffets along with Italian menus for the evening. Silversea’s Spaccanapoli continues the Italian tradition of sourcing the freshest ingredients for their world-class pizzeria, La Dame by Relaix & Chateux presents flawless French dining with bespoke menus from the world’s top chefs; Seishin and Indochine create Asian fusion cuisine to the highest calibre. The elegant bar and grill, Atlantide and the The Grill, which offers a more casual atmosphere, with lava stone cooking at its finest, grilling meat, fish or vegetables which will seduce all your senses. The fine art of Kaiseki is presented by highly skilled chefs with sumptuous Japanese courses; and The Silver Note is the perfect place for dining, dancing and dreaming the night away – small plate tapas-style dishes of mouth-watering international cuisine.